There was once a time when man looked to the skies and expected to see giant balloons rather than airplanes drifting above. The Hindenburg Disaster promptly put an end to those dreams. 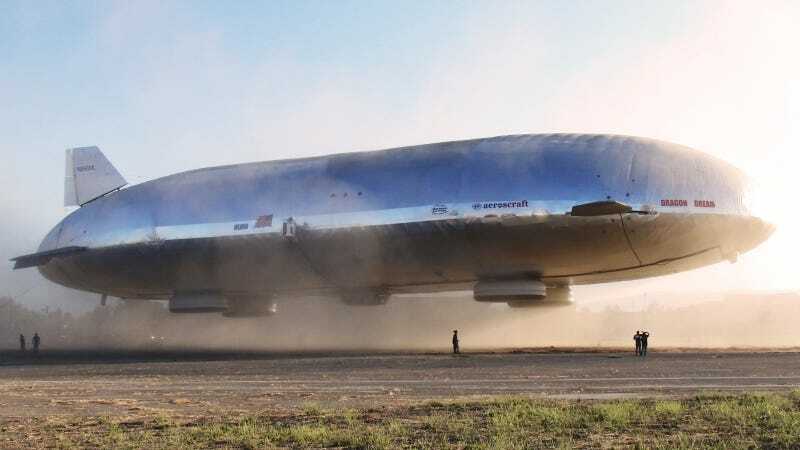 But nearly a century later, one company may have finally figured out how to build a dirigible suitable for the 21st century. Just don't call it a blimp. America possesses the most formidable naval fleet in the world. However, the face of oceanic warfare is rapidly evolving and bears little resemblance to 20th century sea battles. Naval dominance is no longer decided in the middle of the Pacific or Atlantic, but rather in shallow territorial waters. To meet these new offshore challenges, the US Navy has spent years and billions on a new class of Destroyer. The second suspect in the brutal Boston Marathon bombings has been apprehended, after five days of uncertainty and fear. And while all credit for Dzhokar Tsarnaev's capture goes to the men and women of the many, many agencies that spent the last week tracking him down, technology played as prominent a role as it ever has in a time of national crisis.